Rosemary Corales was born in New Orleans and died peacefully in her home in Metairie on September 9, 2018 at the age of 94. She was preceded in death by her parents, Antonino Panepinto and Santina Russo Panepinto, and by her husband, Foster Corales. 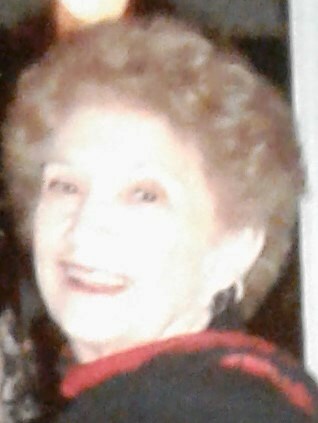 She is survived by her sons Eric Cretini (Diana), Felix Cretini, and Don Corales, and her daughters Paula Corales Rodriguez and Amy Corales Bush (Randy). She is also survived by nine grandchildren and numerous great-grandchildren, cousins, nieces, nephews, and friends. Rosemary treasured her church family. She received a teacher’s certificate for the Confraternity of Christian Doctrine (CCD) program in the Archdiocese of New Orleans. She was involved in the Parish School of Religion program (formerly CCD) since its establishment in 1962. Rosemary was an active member of at least 10 church ministries, including lector, CCD secretary, and CCD teacher for the past 40 years. She received the Order of Saint Louis medallion for service in the Archdiocese of New Orleans, Catholic Charities Senior Citizen Religious Metal, Adult Service Awards for the Catholic Youth Organizations of St. Jerome and St. Philip Neri parishes, Woman of the Year in St. Philip Neri Parish, and Outstanding Service Awards from Archbishop Chapelle and Archbishop Rummel high schools. Relatives and friends are invited to attend a Funeral Mass at 11:00 am on Saturday, September 15, 2018 at St. Philip Neri Catholic Church, 6500 Kawanee Avenue, Metairie, LA. Visitation will be from 9:00 am until the time of the Mass. Interment will be in Metairie Cemetery. JACOB SCHOEN & SON in charge of arrangements.